Some armed robbers on Friday attacked a bullion van on RSUST (River State University Of Science Technology) Campus which was there to supply money to the UBA bank situated there. There are many conflicting information about the robbery but it is thought the boys were 5 in number carrying very sophisticated weapons engaged the mopol escorts in a gun battle for over 30 minutes but according to eye witnesses the bullets were not penetrating the boys and the mobile police men fled. 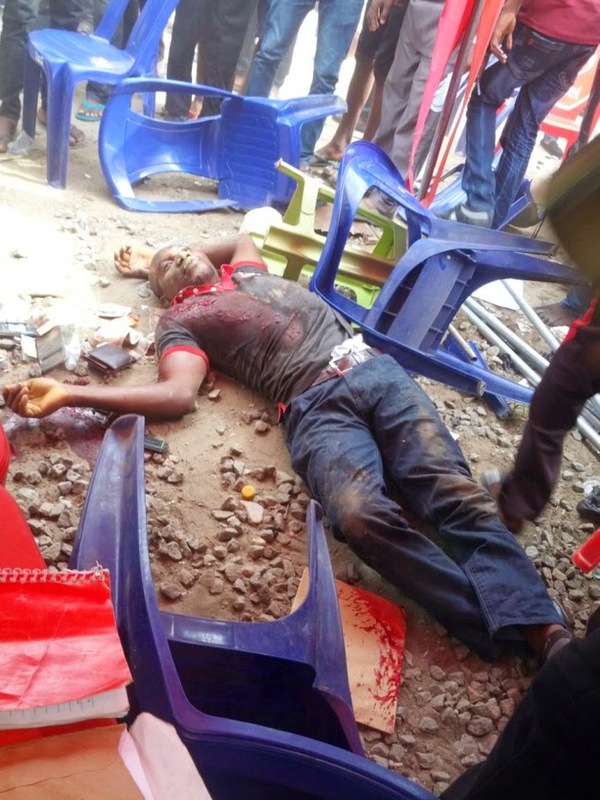 The incident which lasted over 30 minutes resulted in the boys carting away all the money in the bullion van and escaped through the school back gate after shooting it open, among those who lost their lives was a final year student who was in school to pay his graduation fee and final year clearance, his pic can be seen above, there is information the boys further robbed another bank in the mile 1 axis around the Rsust campus area and we’re engaged by police who shot their car tires but were still able to escape by hijacking an infinti jeep. it was a horrid day for staff and students of RSUST.